You're like putting your whole soul into making this single map. :P Cool progress, liking the look of this room. I have slight worries about the main room with the trap going to be rather "busy" looking with all that geometries so it will be hard to focus on the enemies properly but we will see, too early to call yet. Last edited by RPGWiZ4RD; 09-07-2015, 07:28 PM. I have slight worries about the main room with the trap going to be rather "busy" looking with all that geometries so it will be hard to focus on the enemies properly but we will see, too early to call yet. An awesome thread with an awesome set of fourthcoming assets! 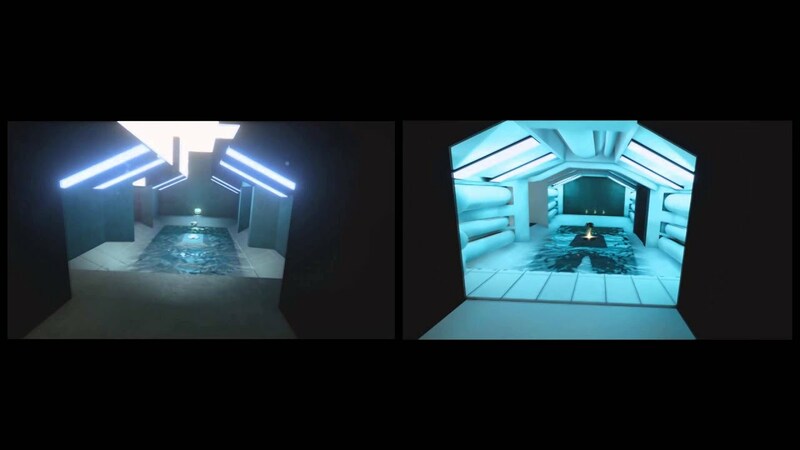 Some Outpost 23 assets could be re-used here easily, though, such as pipes, grates and the like. I don't feel much like reusing Outpost 23 assets because I don't want to be influenced by these. As for the meshes in Hydraulics, if they ever reach a good enough level, yes, I'll release them for free (since I have non commercial licenses for my 3D softs). awesome job so far.really liked the comparison.